Minds + Machines is GE’s premier Industrial Internet event that convenes a global community of industrial customers, developers, partners, luminaries, and technology thought leaders to explore the digital transformation of industry, the state of the Industrial Internet, and what this means for business. 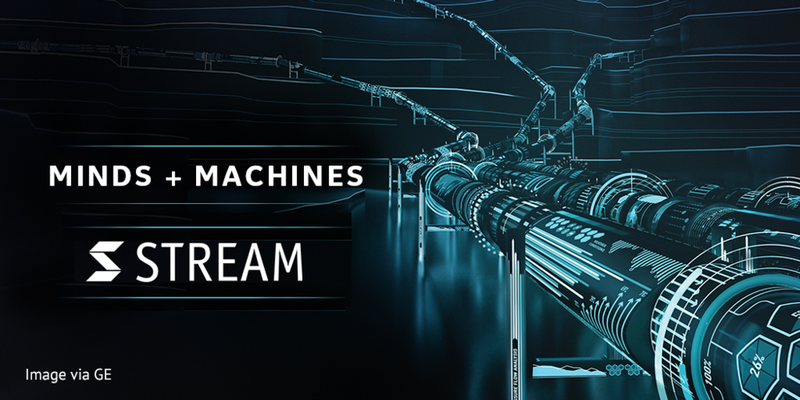 As a high-potential emerging technology company, Stream has been selected by GE to attend this premier global technology event. Exhibiting at Startup Alley, Stream will be at the conference from November 15-16 showcasing SimOpti and the network optimization solutions it provides for industry. Minds + Machines brings together the best and the brightest of industry and technology, and Stream is excited to integrate with this group of innovation leaders.